To delete a message, click MESSAGING in the top menu. 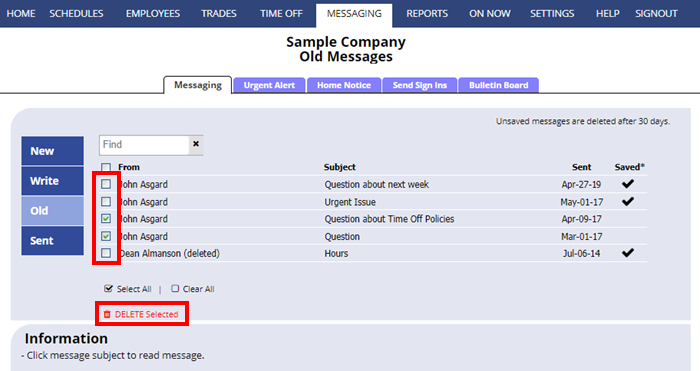 Choose the section you want to view: New, Old or Sent Messages. Check off the messages and click the red “Delete Selected” link.